The United States is a large and diverse market, and you need a business mailing list company that can get you accurate contacts you need to reach your goals. This verified American email database contains a wealth of information to help you succeed. The United States is a big country filled with big business opportunities. With such a spread-out population, it can be hard to find the people you need to talk to to expand your business. But with Bookyourdata.com, you'll have the edge in this lucrative market. 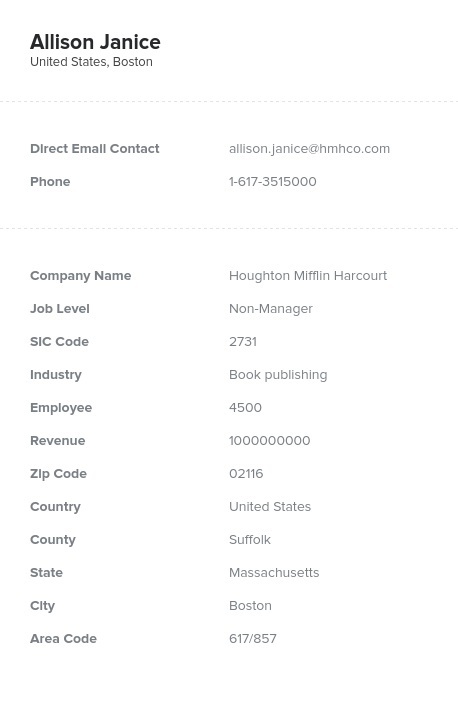 This US mailing list has all of the contact information you could possibly need to form B2B relationships with American firms and attract more customers. Buy it and you'll save your sales team a lot of time they could have wasted on tracking down and pursuing inaccurate sales leads! Our American email list is a massive business database containing the consolidated information for vital contacts from sea to shining sea. In just minutes, you can get the real names, company details, email addresses, mailing addresses, phone numbers, and fax numbers of potential customers you need to be talking to all over America. But if you're not quite ready for an all-out marketing campaign that covers such a large audience, we can still help you get just what you need. We offer a variety of other pre-built email marketing lists sorted by state, job title, or industry, and we also have a list-builder tool you can use to make your own customized USA email database containing only the leads you need. Your competition is already reaching out to your target audience with their own business mailing list. But here, you can get an accurate, premium United States mailing list that will put you ahead of the competition. Buy it today and see for yourself!